Yesterday, one of our Facebook fans left a comment on our Page saying that she was seeing our sponsored posts in her news feed way too often. We’ve been experimenting with post promotion and sponsored stories for a year, but this is the first time we’ve received negative feedback. As the person responsible for managing these ads, I completely appreciate what the user was saying. I went back and checked the frequency of placement of this promoted post to fans and the user was completely right; the display frequency was too high. I made adjustments to the sponsored content in order to decrease visibility and bring it back in line with the other posts we've promoted. This won’t be the last time a fan on our page or any other page sponsoring posts leaves a comment like this during the early stages of these ads. Why? Facebook and other social media outlets are changing the ad game in order to drive revenue. Earlier this month, Facebook changed their EdgeRank algorithm, which decreased Page reach nearly across the board. Not surprisingly, Facebook's mobile ad revenue has surged as Page managers started using Promoted Posts to increase visibility. Those posts, of course, show up in the news feed on both desktop and mobile as sponsored stories. 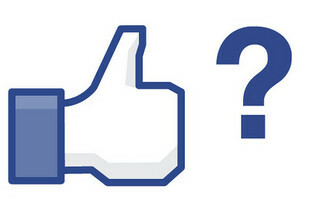 Facebook can now boast that it has found a way to monetize the 604 million mobile users. For us and for many of our clients, using post promotion meant that as many as 55 percent of new likes were now coming from mobile. And using post promotion, we’ve been able to counter the decrease in Reach and Engagement that came after the EdgeRank update I mentioned above. Any PPC person will tell you that old style display ads are rarely effective on social sites. Sponsored content is the primary source of ad revenue for these networks and will be in the near term. The big challenge facing all social networks right now is how to manage user experience on their free services with sponsored content placement. When you first log into Facebook these days on both mobile and desktop, you often see a sponsored story. (Twitter, Reddit and social news sites like Huffington Post and BuzzFeed work this way, too.) And many of the stories about Facebook’s mobile ad revenue this week asked the question: Will users revolt over sponsored content? The answer has been an overwhelming "No" in the year that we’ve sponsored content. Our engagement has never been higher... especially when it comes to social media generating leads. In the case of the complaint we received, the issue with display frequency was a combination of both budget and popularity of the content we were sharing. More people were liking, sharing and commenting on our content than they have in the past. Just like Google Search ads, interaction helps determine display frequency. As social advertising evolves, users will increasingly determine their own ad experience through this interaction. Facebook, Twitter, Reddit and any other social site using sponsored content to drive revenue only risk a revolt when they display irrelevant content to their users. The service is free; it’s paid for by ads. At the same time, the information users provide to the network means there is an expectation that the ads are relevant. Users have unprecedented power with internet ads, something that will only grow as the advertising becomes more sophisticated. Brands that provide irrelevant ads to social network users deserve to have their brand hidden from news feeds, their profile blocked on Twitter or their Facebook Page unliked... including us. The benefit to the user is reducing noise. And the benefit to the brand is you’re not advertising to people who aren’t going to engage with your brand in a meaningful way.